Today we have started a project I've been wanting to get going for awhile now: giving away free training programs! 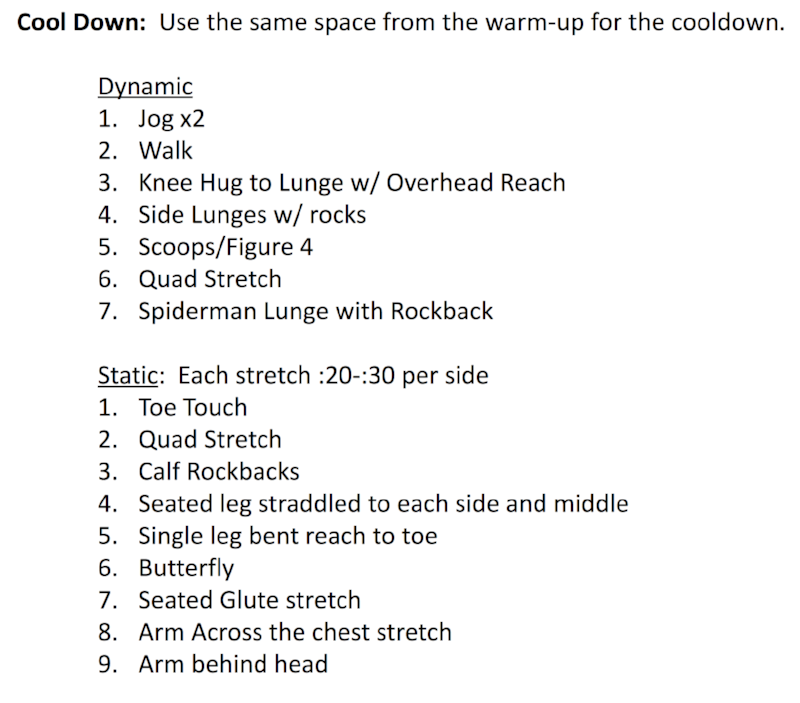 This week's topic for strength work is an at home program. Having a tight schedule can make it tough to find time to go to the gym, so why not bring the gym to you? I do this all the time! All of the exercises in this series can be done with little to no equipment and should not take very long. This week of conditioning should be done on a field or track after the warm up and finished with the cool down. These workouts can be for anyone, but we would especially encourage those participating in sports to try these to find a new way to stay in shape! That's it! Have fun and please reach out to let us know if you have questions on form or if we can help in any other way. Older PostToo Young to Train? When should children begin structured performance training?